The rise of digital business has ushered in a broad array of advanced technologies to help people work more efficiently. But not all organizations are keeping pace with the rapid transformation of the workplace from a physical to a digital space. So, who is at the leading edge of the transition? So-called “smart” offices — these are the organizations where the majority of talented people want to work. In fact, more than half of today’s workers are concerned that their office environments are not advanced enough. If you work in such a place, while your associates at other companies constantly tell you about the cool technologies at their fingertips, you know the feeling: frustration. Fortunately, many companies are catching up rather than losing out. Businesses everywhere are exploring the full complement of digital work technologies that help workers achieve higher productivity, greater collaboration, and more data moves through organizations — hallmarks of the transformation. Setting the stage for these advancements are relentless efforts to boost performance at the edge of the enterprise. Just as organizations seek to empower their workers with the tools to process larger analytics workloads, IT also recognizes the urgency of providing continuous security — no matter where the work is performed. We see 2018 as a watershed year, in which new technologies will transform many more companies into smart and data-driven workplaces. And we believe three key trends will shape the new digital work environment. As IT departments build out these virtualized smart offices, they will also focus on enhancing endpoint security solutions that protect the digitized, mobilized enterprise from cyberattacks and intrusions. We are now in a global climate of “in” security, with a threat landscape that’s growing exponentially. The freedom to work from any location outside of one’s office network requires a new approach, with more focus on secure remote solutions to ensure that what employees send, receive and launch from their devices will keep them safe and not jeopardize their clients, partners, co-workers, or their organization’s IP. Stronger endpoint security is complex and evolving, however one important means is via the use of authentication protocols that go beyond software. Multifactor authentication (MFA) that is built into hardware is one proven way to combat cyber breaches. Optimizing endpoint security requires embedding authentication into silicon, which provides a layer of hardwired protection much tougher to hack than software alone. While everyone is on edge about the risk of cyber threats, new generations of biometric sensors that very accurately identify – and ultimately protect – trusted users are just beginning to gain widespread acceptance. And without trust, there can be no smart office. Organizations will embrace a full complement of new technologies to retrofit their offices, including technology that enables faster processing of data workloads. Data-driven productivity that taps into strong edge computing along with the cloud is an exciting development that may help foster a workplace culture of deeper data analysis highlighted by richer business insights that once required dedicated IT resources. Empowering the workforce with data-driven knowledge increases their ability to make more strategic contributions. IT departments will become drivers of office transformation, as they advise, implement and pilot new technologies through the complexity of an enterprise business. Digital conferencing technologies, for example, may drive process transformation and productivity improvements with advancements such as digital whiteboarding. Allowing your team to set up physical or virtual meetings on the fly and enabling employees, customers and partners to safely share content of all stripes are vital timesaving and workflow enhancements. Eventually explorations around technologies such as virtual reality (VR) and augmented reality (AR) may help create intimate videoconference experiences for remote participants and make work easier and better in many other ways. Workplace transformation is coming because workers demand it. Responding to a 2016 Intel survey, 57% of workforce members said they expect to work in a smart office within the next five years, 42% of millennials said they would quit a job that offered substandard tech and 82% of millennials said workplace tech would influence their decision when considering a job offer. The digital workplace transformation is clearly underway and in 2018 we expect to see IT help enterprises shift these ideas from concept to reality. 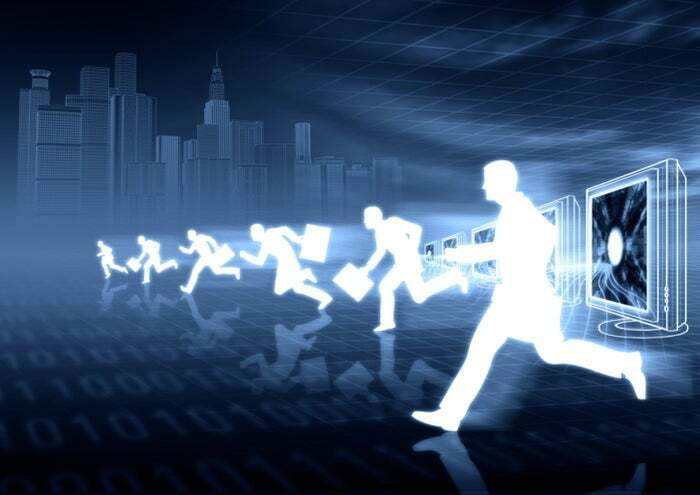 As workers seek out smart companies, businesses will seek to strengthen their mobile and edge computing and data capabilities in order to retain the best workers, all the while driving higher productivity, greater collaboration, and deeper workplace engagement to maintain their competitive edge in the marketplace. Stephanie Hallford is the Vice President and General Manager of the Intel Business Client Platforms with more than 20 years of high-tech marketing experience.